The archived version of this page below. This page will no longer be updated. Each year the Southwest Nationals is covered by various media outlets. Below you will find a list of several articles that been compiled for your enjoyment, click “Read More” to view the full article. The 2015 Berger Southwest Nationals are now history. It was a remarkable event, one of the best-run matches in the country. Over 350 shooters enjoyed generally fine conditions, with sunny skies and warm temps. Records were set, and there were some remarkable performances. The talk of the tournament was Derek Rodgers’s stunning F-TR score. Trudie Fay is a name you hear a lot in the winner’s circles of long range high power. Again, Trudie is overall match winner of this year’s SW Nationals held in Phoenix last week. She was flawless. As usual there were challenging conditions all week and the list of world class shooters was long. We even had a Scottish team of seven that attended, four of which have been coming for 3 years now. There were about 350 competitors between Sling and F-Class and F-Open. This is my 5th year attending this event held at The Ben Avery Shooting Facility. It is now one of the best run and most successful matches I have been to. I have seen huge changes every year as it has become more popular. Breaking news from Ben Avery — the U.S. FT-R Team Blue, consisting of Phil Kelley, Dan Pohlabel, Derek Rodgers, Matt Schwartzkopf, and coach Jim Crofts, won the F-TR team event at the Berger Southwest Nationals. The “Blues” scored an impressive come-from-behind victory, finishing at 784-24X on Team Day 2 to secure the overall Berger SWN F-TR Team Championship. Well done gentlemen. Today the Arizona Game and Fish Department (AZGFD), Berger Bullets, and Nightforce Optics will officially dedicate a new Multi-purpose Building at the Ben Avery Shooting Facility. The building dedication ceremony will be held Saturday, February 14, 2015 at 8:15 a.m. during the Berger Southwest Nationals, one of the most prestigious long-range rifle matches in the nation. Today marked the third day of competition at the Berger Southwest Nationals. The superstitious types among the competitors viewed the day with some trepidation. There was actual bad luck for some folks, including Mid Tompkins, who broke his leg in a parking lot accident in the morning. But most shooters didn’t worry too much about the date — they were more concerned about calling the wind correctly. As Bryan Litz said: “I don’t believe in superstition. We make our own luck”. This was supposed to be the “easy day” at the Berger Southwest Nationals (SWN), with targets at the “shorter” distance of 600 yards. But the wind gods did not cooperate. The wind blew all day long, with significant velocity changes (from strong to very strong) and tricky angle changes. It was a challenge even for a National Champion. James Crofts, reigning F-TR National Champ, said today presented the toughest wind conditions he’s ever witnessed at Ben Avery: “Conditions were brutal, to say the least. At 600 yards I found the 7 Ring, so it wasn’t easy”. But James was up to the task, winning the F-TR division. For top-level competitors, hand-loading is truly the “relentless pursuit of perfection”. To build ammo capable of winning major long-range matches, you’ll need the best tools — and an almost obsessive attention to detail. 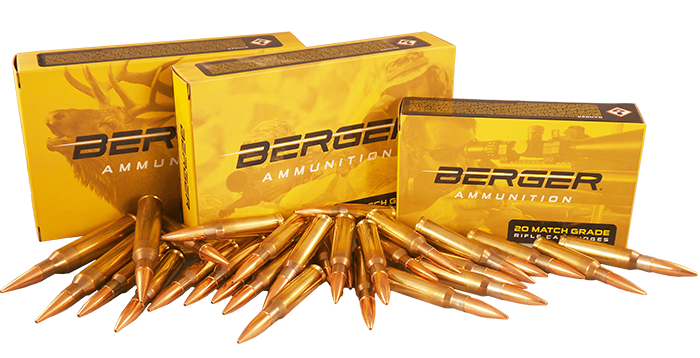 The bullets must be ultra-consistent, powder charge weights must be “dead on”, seating depths (as measured from base of case to ogive) must be precise, and neck-tension must be the same for every round that goes in the chamber. Berger Bullets would like to congratulate all of the winners of the 2014 Southwest Nationals! This year we had another record breaking year for attendance. Competition was fierce with 82 new Southwest National Challenge Coins handed out, 33 SWN individual records broken, 9 SWN team records broken and several NRA records pending. Where’s Waldo? Well, actually “Where’s German?” That’s the question many of our Forum members have been asking for months. German Salazar, creator of the Rifleman’s Journal website, has been a successful smallbore and high power rifle competitor for decades. After some serious shoulder surgery, German has been forced to stop shooting while his body heals. 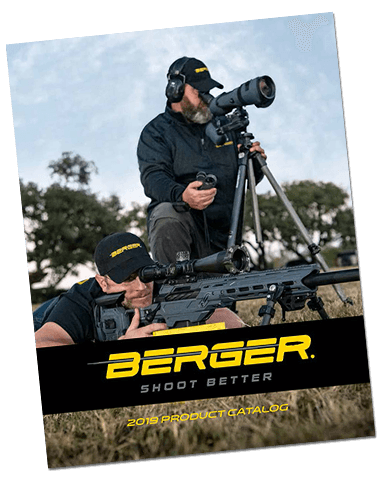 But during the Berger Southwest Nationals last week, German made a pilgrimage to the Ben Avery range to re-connect with good friends and fellow shooters. At the range, we interviewed German during a break between relays. It is hard to believe this was my 4th year competing in the SW Nationals. My first year four years ago, I had never fired a 1000 yard match before. I had my High Master card for mid range but not long range yet. I was entered as a Sharp Shooter. I remember vividly that the conditions were quite calm on the first day and I cleaned one of the 1000 strings with a high X count. Not being known yet in that crowd another guy in the Sharp Shooter class accused me of sand bagging. What a way to start eh? Needless to say I shot very well that week and came home with quite a prize package of 1500 Berger Bullets. In its fourth year now the match has started to acknowledge match records. For our last day on the range at Ben Avery the sun came back out for us. But with the winds kicking up they created a cold bite. We had only two strings on individuals at 1000 yards. All morning waiting for the start the flags were standing down. The minute relay one went up they picked up. I was on relay two and although the flags were going it did not seem like there was much going on. Was I wrong. I got caught in drastic let offs. The flags went from one direction to a zero wind to the opposite direction and then right back to the other direction. I dropped 4 on first string and 5 on the second. I thought I would be at the bottom of the pack after that. My relay finished the last two strings of the day in the pits pulling targets. Brrrrrr! The temp dropped 30 degrees today. Mostly cloudy and damp from rain last night. And windy. Again. We shot 2 individual strings at 1000 and then the final team match there as well. For the first time this week I was on relay one instead of three. I did well and only dropped 4 points this morning. It was still windy but nothing like the later strings. My second string did not go as well. Since I shot first in the morning I was on the last string of the day for my second one. The windiest. As I dropped way too many points, Brian Litz the Berger ballistics wonderboy shot a clean 200/200 with 11X right next to me. He hardly broke a sweat. Amazing shooting. The photo at left is of Nancy Tompkin’s new book she just published. We have all been waiting for this for a while. This is her second book. The first came out in 2006. For those of you not in the High Power world, Nancy is an institution. She has many years of experience, national records and national championships. She has won the Leach Cup at Perry several times. She can read wind. I call her…. Wind Ninja. To order her book you can go to www.rifleshootingbynancy.com. The book covers iron sights, F-Class, scopes, wind reading and mental performance. Her husband Mid who also is a legendary shooter writes about loading and equipment in some chapters. And this one is hard back and in color. I was so happy last week to hand off all of my shooting gear and rifle to my friend Darrell who drove down to this match in Phoenix. I was looking forward to flying for once without my gear. What could go wrong now? Just get on the plane. Was I not surprised when TSA found 2 40cal magazines in the outside pocket of my carry on? I used this bag one time shooting pistols and I totally forgot to check it before I left. Oops! They felt my surprise was sincere and did not fine me and allowed me to ship the mags back home. Phew! It is not easy to put together Tanfoglio extended magazines. I would have cried if they had confiscated them. They were empty by the way. On another good note my gear and Darrell made it safely down here. The 2013 Berger Southwest Long Range Nationals (at Ben Avery in AZ) have wrapped up, and some divisional results have arrived. (Stay tuned for more complete results — as they are made available.) Congratulations to Grizzly Industrial President Shiraz Balolia, who won the F-Open Division. The 2013 Berger Southwest Nationals is in the record books. No matter how you shot, those who traveled from the east were happy to escape the brutal winter weather, at least for a while. But that’s not to say there wasn’t some fine shooting! The 2012 Berger Bullets Southwest Long Range Nationals fired last week at Phoenix’s Ben Avery Shooting Facility left competitors from all over the US and Canada smiling and ready to return for next year’s event. With over 200 competitors from 40 states and several Canadian provinces, this was truly a national level event and the scores reflected that intensity. However, it wasn’t just about the shooting; as at any large rifle match, renewing old friendships, seeing friends from the AccurateShooter Forum and enjoying time and a few meals with them are just as important. The complete, final results of the Berger SW Long Range Nationals (at the Ben Avery Range in Arizona) have been posted. You can download all the results from the links at the bottom of this story. In case you missed our previous match report, Trudie Fay was the overall winner in the sling category, Jim Murphy took F-Open Class, and James Croft won F-TR. In team competition, The sling winners were the US National Team composed of Trudie Fay, Bryan Litz, Justin Skaret and Peter Church. In F-Open, the winning team was Team Norma/Berger composed of Larry Bartholome, John Brewer, Danny Biggs, and Jim Murphy. 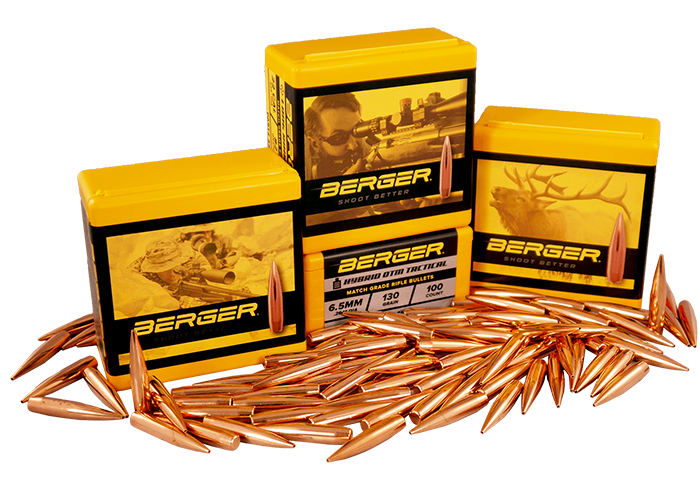 The Berger SW Nationals at the Ben Avery Range outside Phoenix concluded this weekend. Congratulations to: Bryan Litz (Overall Champion — sling), Trudie Fay (Palma Rifle Winner, 2nd Overall), Danny Biggs (F-Open Winner), and John Hayhurst (F-TR Winner). Among sling shooters, Bryan shot a 1441-77X, Trudy scored 1432-63X, and Gary Eliseo and Leo Ahearn tied with 1430-74X, with Gary getting the 3rd place spot on a tie-breaker. SW Nationals Commence in Phoenix. Salazar Wins Opening Day 3×600 Match with .30-06 Tubegun. On April 1st, Under very windy conditions, 62 competitors fired the 3×600 match which opened the Berger Bullets SW Nationals at the Ben Avery range in Phoenix, AZ. Eric Stecker and Michelle Gallagher of Berger Bullets, along with Mid Tompkins, kept the match going at a quick but manageable pace as strong and quickly-increasing winds rolled in from the west. Despite a forecast of thundershowers to go with the wind, the sky remained mostly clear throughout the match — it was the wind that gave everyone a hard time as it cycled through a range of 0 mph to 20 mph frequently.